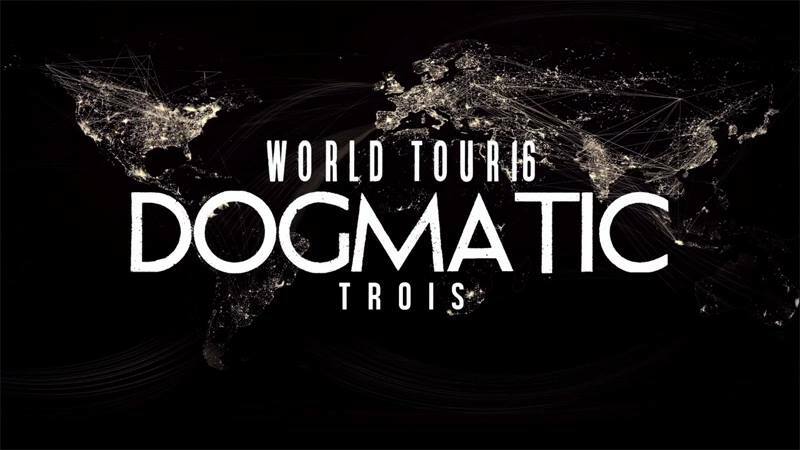 It is official, the GazettE WORLD TOUR16 DOGMATIC -TROIS- will be hitting North and South America, Europe, Taiwan, and China! This will be the first time the band has ever played in North America. 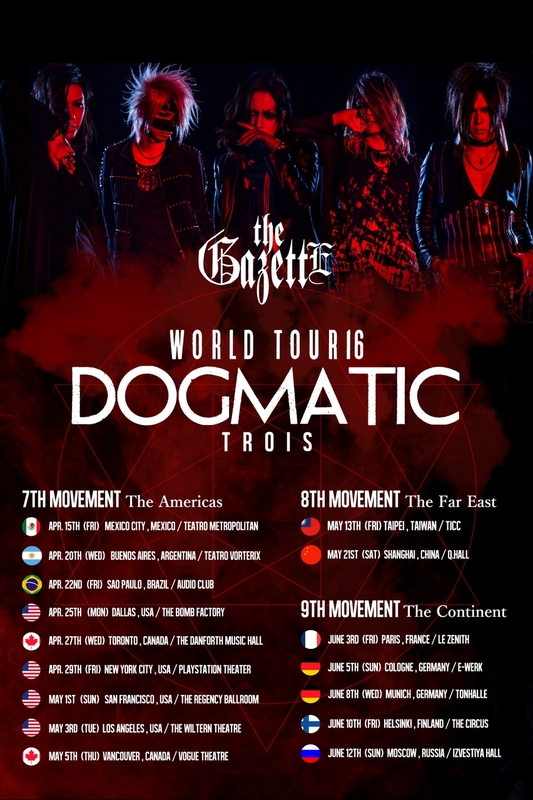 “the GazettE is currently on the road touring nation-wide for their latest album – DOGMA. Along with the announcement is the tour trailer. If the video below is not available in your country, please click here for the video posted on their Facebook.